There are two things Chase knew when he was growing up. He would escape poverty and he would give back. Those reasons have fueled his desire to raise money and awareness for Flint’s water crisis even if it’s from his sneaker boutique in Huntington, NY. 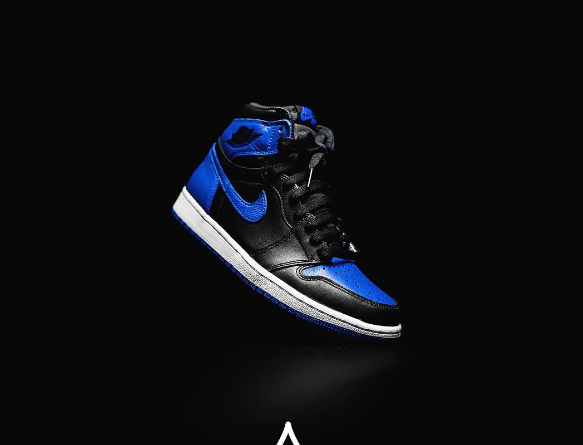 The team at RISE launched an online raffle to help encourage people to donate to Flint’s crisis while getting a leg up on others wanting the new Air Jordan 1 Retro High “Royal” gym shoes set to debut April 1, 2017. For each minimum donation of $10 participants get 10 raffle tickets to be one of the first people to get their hands on a pair of the shoes for $160 a pair. In September 2016 is was discovered that children in Flint had elevated blood lead levels after the city switched from using Detroit for their water supply to using the Flint River. “It’s 2017 and the mere fact that there’s a community in the United States of America where kids don not have access to clean water it’s mind boggling,” said Ceparano. “We may not be able to do a lot but we can do something. It helps raise awareness and in the end maybe others can come together to do something bigger. The vision is clear. There’s something good that’s going to come from that alone. RISE has 24 pair of shoes in a variety of sizes that are part of the raffle. All proceeds will be sent to the Foundation for Flint for the Flint Child Health and Development Fund. Ceparano said he reached out to StockX, a Detroit-based company where buyers place bids on gym shoes, to find out where to send the donations. As of March 29, 2017 they had raised an estimated $6,000 for Flint. Winners will be selected randomly between 5 and 6 p.m. on Friday, March 31, 2017. RISE will contact the winners with instructions on how to complete their purchase. To find out more information or to enter the raffle click here. In an effort to assist in the ongoing water crisis in Flint, RISE has teamed with the Foundation for Flint to raise money for the Flint Child Health and Development Fund. All donations raised via this campaign will go directly to the fund and aid children with interventions that support positive outcomes now and into the future. Through this online charity raffle a total of 24 pairs of the Men’s Air Jordan 1 Retro High “Royal” will be made available for purchase on Saturday, April 1st 2017.